Just because the 4th of July has passed doesn’t mean we can’t continue to celebrate American culture—or, in our case, cooking! 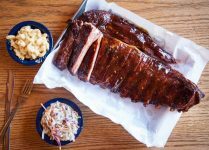 While the formal observance is over, we’re looking forward to a very exciting Roadhouse special event showcasing the diverse and delicious dishes that makes up this country’s evermore interesting cuisine. Nationally known author Gabrielle Langholtz, who put together America: The Cookbook—a project so successful, wide-ranging and thorough that Food 52 called it “a compelling and delicious picture of the country’s cuisine”—will bring her culinary collection of full-flavored Americana to the Roadhouse on July 25th for Special Dinner #227. Gabrielle’s passion for American cooking will be on display during the dinner as she shares the story of the book, her learnings, favorite recipes, some good laughs and, of course, a lot of good food. This dinner is for the Roadhouse. When we opened the restaurant (15 years ago this fall), our hope was to bring American food in all its diversity to town. 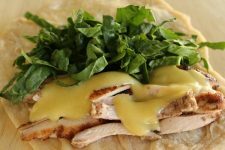 Classic dishes, like great burgers, barbecue, biscuits, macaroni, and cheese, but, also, less well known, though equally wonderful foods from the far corners and back roads of the country. 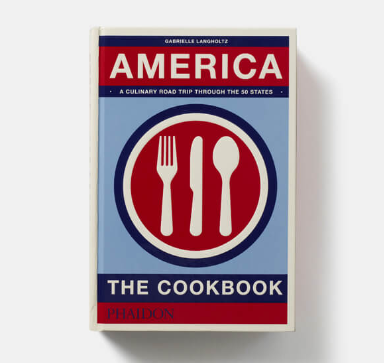 If America: The Cookbook had been out when we opened in 2003, we might have used it as the restaurant’s handbook. At nearly 800 pages, it’s lovely to look at, interesting to read, and very easy to cook from. All the most famous American foods are there, but they’re really just a small slice of the hundreds of recipes. The book does exactly what we wanted to do in starting the Roadhouse—share stories and tastes of all the elements of the country’s cooking. What’s on the menu for the evening? 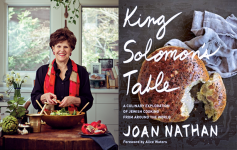 Obviously, we can’t cook the whole book, but some of the recipes that caught my attention will show up on the menu for the evening’s event: Basque lamb, Nashville hot chicken, Arizona Calabacitas squash casserole and much much more. See the whole menu right here. Want more background on this lively and lovely project? Here’s a nice interview WEMU’s Lisa Barry did with Gabrielle. I’ve enjoyed working with her on this project—she brings a great blend of serious but still fun-loving study and scholarship set against a good bit of levity and the ability to laugh at herself. And a whole lot of knowledge of great food! Grab your seats for America: The Cookbook. Seats are limited. Hope to see you there! «Drink Recipes: Cool off with These Thirst-Quenching Sorbet Cocktails by Zingerman’s Creamery!